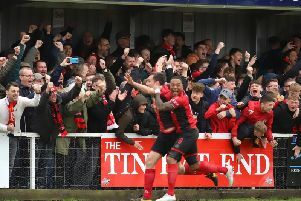 The Poppies head to struggling Halesowen Town on Saturday knowing just one more point will see them crowned Evo-Stik League South Premier Division Central champions. Marcus Law’s team missed their first opportunity to clinch the crown last Saturday. With other results going in their favour, a draw would have been enough to finish the job in front of over 1,500 fans at Latimer Park. But play-off contenders Alvechurch grabbed a late goal to seal a 2-1 success to ensure the celebrations were put on hold. 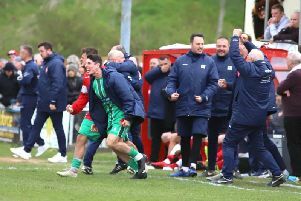 “I think the fans who have followed us away from home this season have had a lot of joy this season and we need to do it again on Saturday,” Law said. “I hope it will be a good following. I know there has been a lot of talk about it and I am sure a lot of fans will make the journey to support us. “It was great to see such a good turnout at home last week, they really came out in their numbers. “And that’s what we want home and away for the last few games of the season, we want to try to finish this off as a unit."